The Silver Comet Trail, one of the most popular spots in northwest Georgia for outdoor recreation and bicycle commuting, sprouted from an abandoned rail corridor between Atlanta and the Alabama state line. In the early 1990s, a group of private citizens and non-profit organizations, including the PATH Foundation and the Georgia Rails to Trails Society, spearheaded the development of the trail, working with the Georgia Department of Transportation (GDOT), the Georgia Department of Natural Resources and the three counties adjacent to the trail: Cobb, Paulding and Polk. GDOT purchased the 57-mile corridor in 1992 from CSX for $5.8 million. Today, the trail passes through three Georgia counties and connects with the Chief Ladiga Trail in Cleburne County, Alabama. These two trails combined run over 100 miles and form the longest paved trail in the United States. 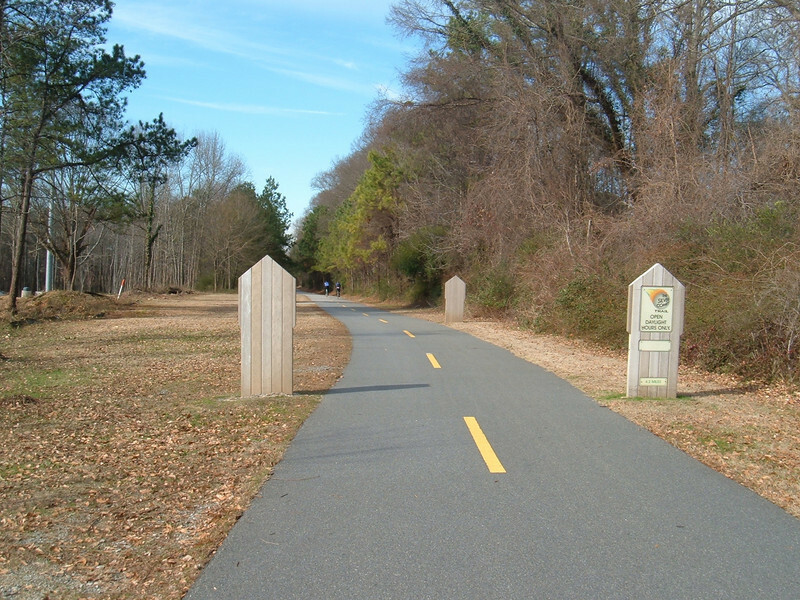 Development of the Silver Comet Trail was supported by TE grants in 1998 ($695,000 with a $173,750 local match from the City of Rockmart), 2000 ($400,000 with a $202,840 local match from the Cobb County DOT; $50,000 with a $12,500 local match from the Paulding County Chamber of Commerce; and $959,000 with a $239,750 local match from Polk County), 2001 ($875,000 with a $343,200 local match from GDOT), and 2004 ($750,000 with a local match of $187,500 from the Cobb County DOT). The grants and matches total $4,888,540. Learn more about The Silver Comet Trail at http://www.silvercometga.com/ and http://www.silvercomet.org/.